This Cosmopolitan dark wood table lamp with cream oblong shade looks modern any stylish, with a square window design base and fabric shade. The dark wood finish and tasteful cream shade combine to make this the perfect choice for adding a touch of sophistication to your bedroom, living room, or dining room. 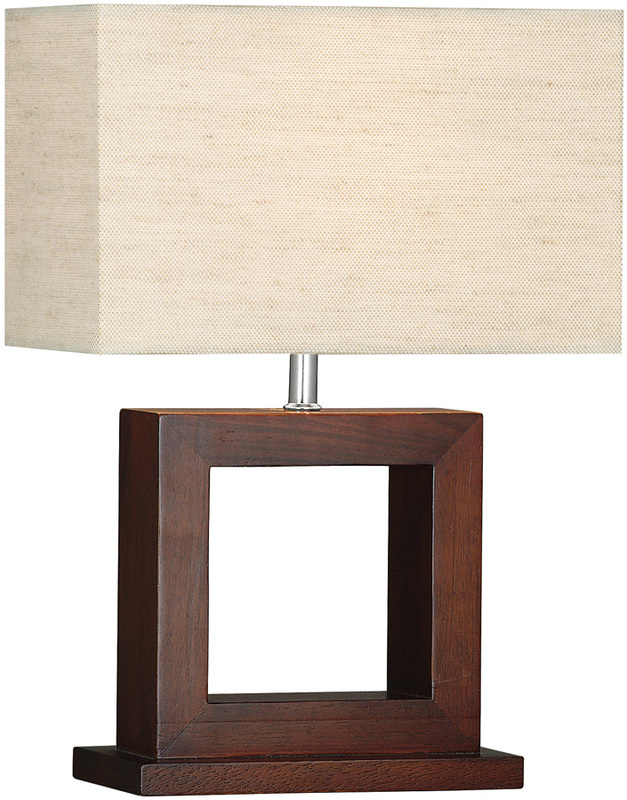 A classy table lamp that won’t clash with your existing decoration and sure to add practicality and style to any room. A class 2 double insulated table lamp that does not require an earth and fitted with an inline rocker switch for convenience.